We all know that the Agent Carter series starring Hayley Atwell begins this Winter on ABC but now we have confirmation that she will be appearing in the premiere of season 2 of Marvel's Agents Of S.H.I.E.L.D. 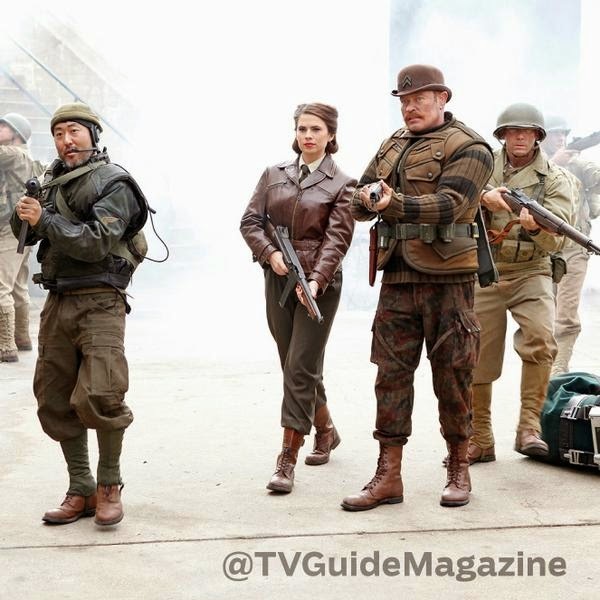 TV Guide even has the first image of Agent Peggy Carter along with some of the Howling Commandos. Agents Of S.H.I.E.L.D. 's second season premieres September 23rd and it looks like we will be getting a cool flashback sequence to tie the two series together before Agent Carter even airs.